I did not go to India for religious reasons. I did not go to do volunteer work. I did not go expecting to find anything other than historic architecture and scenic views to capture with the camera I have so much trouble putting down when I’m traveling. 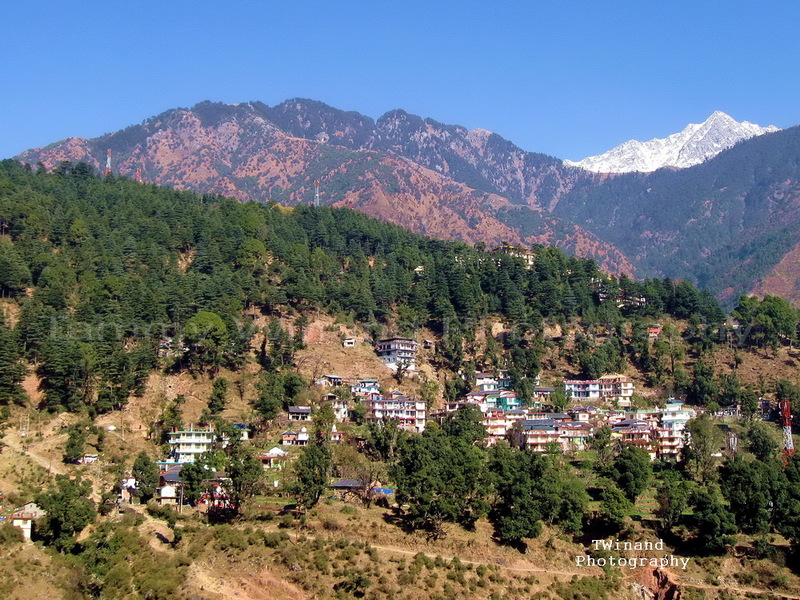 I arrived for my first visit to McleodGanj, in the north Indian state of Himachal Pradesh, at the end of November 2009, with no idea what to expect. I’d added it to my itinerary to experience a way of life different from the rest of India, having seen images of His Holiness’ temple and the surrounding mountains in a popular guidebook. Triund Hill and the Dhauladhar Range of the Himalayas above McleodGanj, Dharamsala at the Himachal Pradesh hill station in India. I knew that the Dalai Lama had been exiled there since being forced out of Tibet in 1959 by the Chinese take-over, and that the Tibetan Government-in-Exile was located there. 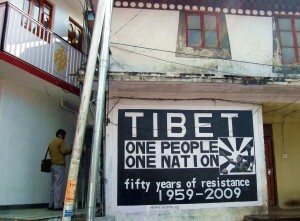 I knew that there was a sizable Tibetan refugee community. I did not know what any of that meant. During my first week in town, McleodGanj came to mean inner peace. Fresh air and stunning Himalayan views began to revive me. After stressful experiences in both Mumbai and around Rajasthan, seeing people actually smile was heavenly. Even the Indian shop keepers were much less aggressive than in the other places I’d been. I watched in amusement as I saw red robed Buddhist monks using mobile phones and laptops, shattering my naïve views. I listened in shock as former political prisoners told horrifying stories of imprisonment and torture. 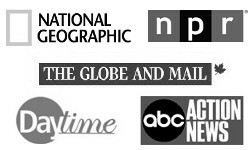 Over the coming days, I got involved with a local non-profit, writing for their website. I became an English conversation teacher at a school run by the same organization and began making friends in the community. I learned to communicate ideas in fewer words and gestures than I’d ever imagined possible. I learned new ways of being. I learned that words were not always necessary. Every day, my students taught me more about Tibet’s history and culture, sometimes in very broken but equally determined English. I soon decided to cancel all my pre-booked train tickets and take a pass on the rest of India, having found something which felt important. These strangers who barely spoke my language soon became my best friends. We spent hours simply drinking tea, walking around the temple, reading the dictionary, and watching TV. We cooked together, sang and danced, and laughed like fools. At times it seemed language was unnecessary. Kind gestures were enough. At other times, I was so confused and frustrated at our cultural differences that I wanted to scream at the top of my lungs from my balcony over-looking the Himalayan valley. I cried as much as I laughed. I was continually surprised by the beauty, complexity, and pain of the local community. Yet, no matter what their personal situations, it seemed every exile was focused on living life rather than dwelling on their losses or the difficulties they faced for the future. I am not a student of politics, although I have strong, if idealistic, views. I know that all human beings deserve the right to basic freedoms, including the right to choose which religion to follow and to do so peacefully, to self-govern without fear of punishment, to be free to pursue their interests, and to work for fair wages. Under Chinese rule, Tibetans have none of these. I started informally studying spoken Tibetan, as I wanted to be able to communicate with my new friends in their native language. I started reading more about the basics of the Buddhism, acquiring several books by the Dalai Lama, trying to get a better feel for the cultural mindset and current political situation. I learned the basics of Tibetan cooking, including momos and thukpa. For three months I lived, studied, worked, and played alongside the locals. At times I was overwhelmed by confusion at our cultural and linguistic differences and barriers. At times I was overcome with grief at their stories. Often I was frustrated by lack of basic western amenities. Other times I felt a serene sense of belonging and understanding, as if these people, this place, this way of life, had been buried inside me somewhere all along. Sharing laughter with people who had suffered greater hardships than I could even imagine began a healing process in me. Healing from the pain of the past twenty years of my crazy life. Winter was long and cold, and I learned that it’s possible to adjust to very unusual circumstances. By Losar, Tibetan Lunar New Year, I had come to feel like I was home. 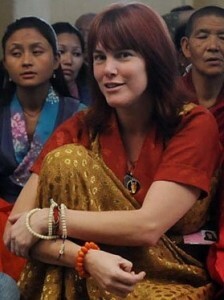 I knew my way around, could hold basic conversations in Tibetan as well as Hindi. I was accepted by the community, always greeting or being greeted by friends and students as we passed in the streets and shops going about our daily business. Just as it was time for me to go, I truly felt that I had found the place I belonged. Seven months later, after raising money back in the States, I returned for another 12 months of volunteer work in India and Nepal. 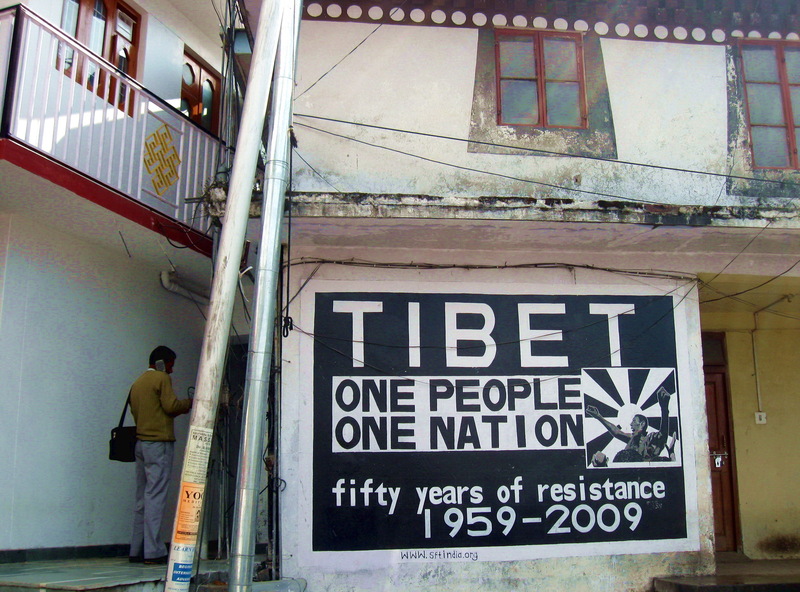 That experience led me to write my first book, Everyday Exile, exploring life in the Tibetan exile settlements, Tibetan culture, and other issues facing the society. I think all volunteers, especially those going to work in India or Nepal, will find it informative. A thanks to Tammy for sharing her story this week; her book Everyday Exile is on Amazon as both ebook and paperback. I really appreciate that Tammy found a way to slow down once she had found a place that resonated with her and find organizations to work with inside of that community. Anyone interested in the region should check out her book before they visit as a way to gain insight on the history and culture.